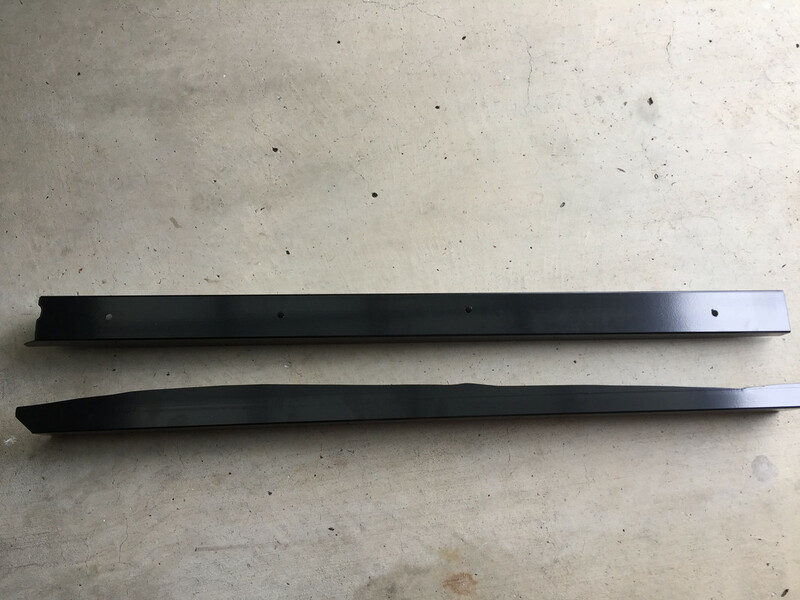 Hello, my chassis rails are looking a little bit rusty so I'm wondering if anyone knows the best place to get some replacement rails from so I can get them welded on? As far as I know you can't anymore. I managed to get a rear pair from nissan, wasn't expensive. There not chassis rails. There not connected to the chassis in anyway. They must have been discontinued in the last few years then? Cheers fellas, they’re not really bad but just thought I’d replace them if I could before they become really rusty! Other than front chassis rails I wouldn’t know what to call them, it’s the extra bit underneath the car anyway that they front anti roll bar d bush mounts bolt onto! They're floor supports, and the reason they always get damaged is because people think they're chassis rails and lift the car by them. @Ryaneg6freak wrote: They're floor supports, and the reason they always get damaged is because people think they're chassis rails and lift the car by them. Went back to a higher ride height and stopped getting my wheel the wrong side of curbs. I wonder if replacing with some steel box tube might be another option, i wonder how hard it would be compared to replacing with the OEM floor supports? I see no problem with that at all. It's what they'd do at a body shop. I recall (havn't been under in a while) the fronts have a mounting point for something on the front hubs but I may be imagining it. 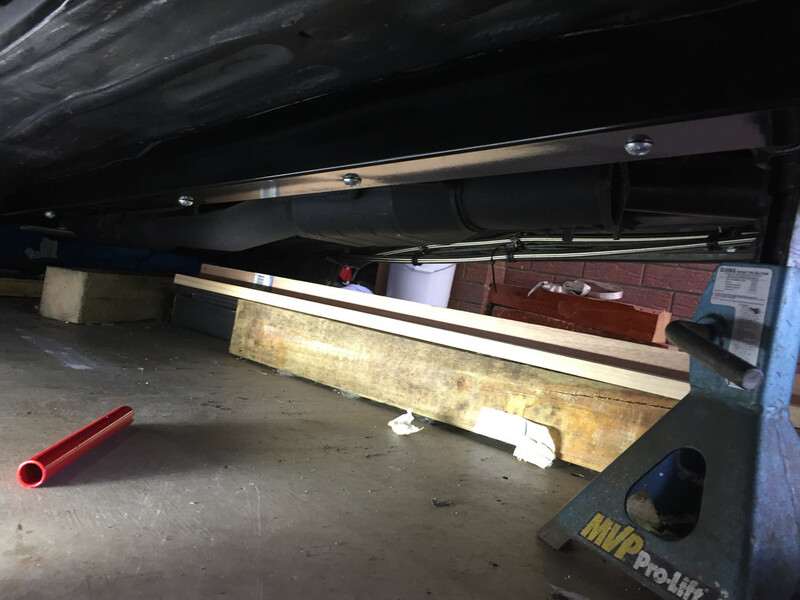 @gtir_woody wrote: I wonder if replacing with some steel box tube might be another option, i wonder how hard it would be compared to replacing with the OEM floor supports? I did just that, I boxed them in with 1/8" steel plate. Now I CAN lift the car by them. Did you cut the originals out before boxing in? No, I just made some overlap sections and made them with a flange that sits flat with the floor, I then drilled holes though the floor and ran nuts and bolts with big washers on both sides. It's hidden under the carpet and you'd never know it's there. Way stronger now. I’m really digging that idea. @Ryaneg6freak wrote: No, I just made some overlap sections and made them with a flange that sits flat with the floor, I then drilled holes though the floor and ran nuts and bolts with big washers on both sides. It's hidden under the carpet and you'd never know it's there. Way stronger now. Do you have any pics of your work? Sounds like a nice mod! Id be keen to see some pics. Im thinking doing this might even help to even out my floor from where dckheads have used a jack on it lol. I did something like this, without all the fancy triangle shaped holes lol. It's where I got the idea from. Very cool! I could look into getting some laser cut and folded up if enough people were interested? Maybe Powder coated to for a nice bolt on upgrade with some 'motorsport' holes lol. Hell, you could probably just BUY these and cut them to fit. I should have. I started making some, I’m not intending to jack on them though, so they’ll be more protectors you could say. Hardest part is making them fit the shape of floor. I’m going to dimple die them I think. The photos don't do justice the amount of time these took to make. I used 75x75 SHS steel and cut them out. These are the second set I made because I wasn't happy with the first. I just used allen bolts, lock nuts and sleeves through the middle of them. The factory floor supports already have holes in most places so I just used them and drilled in to the floor. The way I look at it, my floor supports looked like crap, the only modification was drilling 4 holes in each side, if I ever get the floor supports fixed its no worries to weld those holes up. These aren't for everyone but serves my purpose and look really good once powder coated. Looks very smart! Good effort! @DC313 wrote: Looks very smart! Good effort!